When you press the power button on Bang & Olufsen's new Harmony TV, the entire unit comes alive as the speakers fold into a horizontal position to reveal the 77" 4K LG OLED display. 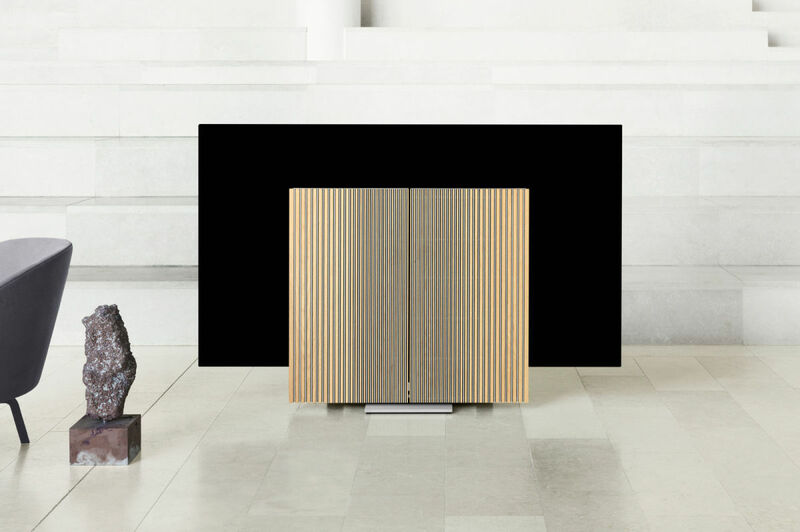 Crafted from aluminum and oak, the speakers feature a three-channel audio system that can be used with the display or on its own for music playback. The speakers are compatible with AirPlay 2, Chromecast, and Bluetooth for unlimited streaming options and a built-in 7.1 surround sound decoder lets you add up to eight BeoLab speakers to create a surround sound audio setup.